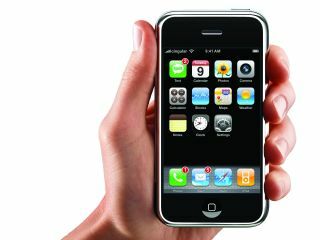 Apple could open up the iPhone for third party applications later this year, Steve Jobs has suggested at the D: All Things Digital conference in California. During a Q&A session Steve Jobs was asked about the openness of the iPhone and whether users could expect to be able to use third party applications. His answer, according to a report on Engadget , suggested that Apple is working on making this possible. Addressing the issue of security, Jobs said: "This is an important tradeoff between security and openness. We want both." Jobs continued: "We'll find a way to let third parties write apps and still preserve security on the iPhone. But until we find that way we can't compromise the security of the phone." According to a report on Gizmodo , Jobs added: "We've got good ideas and, sometime later this year, we can open it up to third-party apps, and keep security." The questions to Steve Jobs came during an onstage interview with Wall Street Journal technology correspondent Walt Mossberg at the D: All Things Digital conference yesterday.